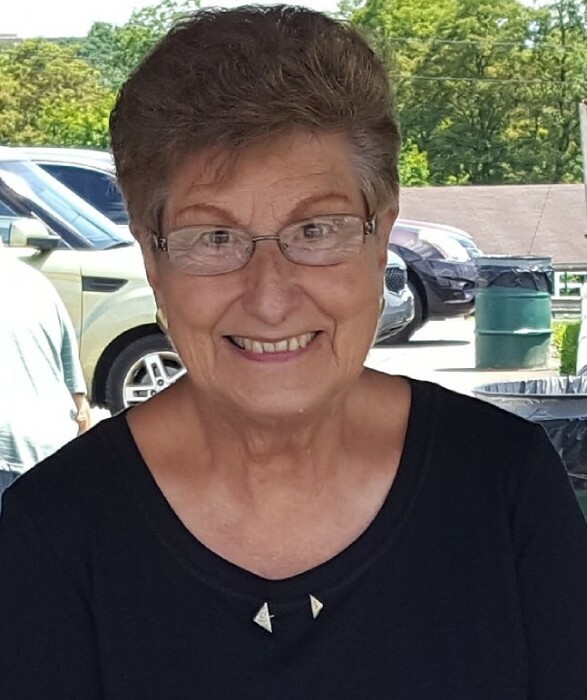 Obituary for MaryEllen (Duritsa) Harden | Baker-Terravecchia Funeral Home, Inc.
MaryEllen (Duritsa) Harden, 76, of Uniontown, Pa, passed away peacefully on Tuesday January 22, 2019. She was born on Monday, July 27, 1942 in Uniontown, Pa, a daughter of George and Anna (Shultz) Duritsa. MaryEllen was preceded in death by her parents. She was a member of St. John the Baptist Byzantine Catholic Church. Left to cherish her memory is her loving husband of 52 years, George A. Harden Jr., children, Tim (Patrice) Harden of Plum, Pa, Heather (David) Romito of McClellandtown, Pa, grandchildren, Alyssa Harden and Zachary Harden, two brothers, Chuck (Judy) Duritsa, Norbert (Gloria) Duritsa, Aunt Marge, Aunt Sue and she is also survived by many nieces, nephews and cousins. She will be missed by countless others. Friends will be received in the Baker-Terravecchia Funeral Home, Inc., 71 Pennsylvania Avenue, Uniontown, Pa, on Friday, January 25, 2019 from 2-4 and 6-9 PM. Parastas prayers will be said at 8:30 p.m.
On Saturday, January 26, 2019, Panachida prayers will be said at 12 noon at the funeral home prior to the procession to church. The Liturgy of Christian Burial will be held at 12:30 p.m. in St. John the Baptist Byzantine Catholic Church, 185 E. Main St., Uniontown, Pa, with the Very Reverend Ronald P. Larko as celebrant. Interment will follow in St. John the Baptist Byzantine Catholic Cemetery, Hopwood, Pa.
Memorial contributions can be made in memory of MaryEllen to St. John the Baptist Byzantine Catholic Church. 185 E. Main St., Uniontown, Pa.